The process starts with the cutting up of logs and drying them in our modern Muhlblock dryers. 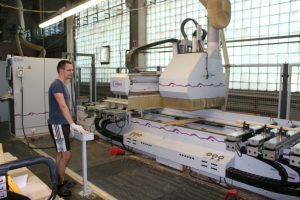 Wood preparation operations include the cutting of wood, plaining, gluing of parts by length and width. Our equipment includes such brands as Grigio, Weining, Paul, Orma and Kadis. 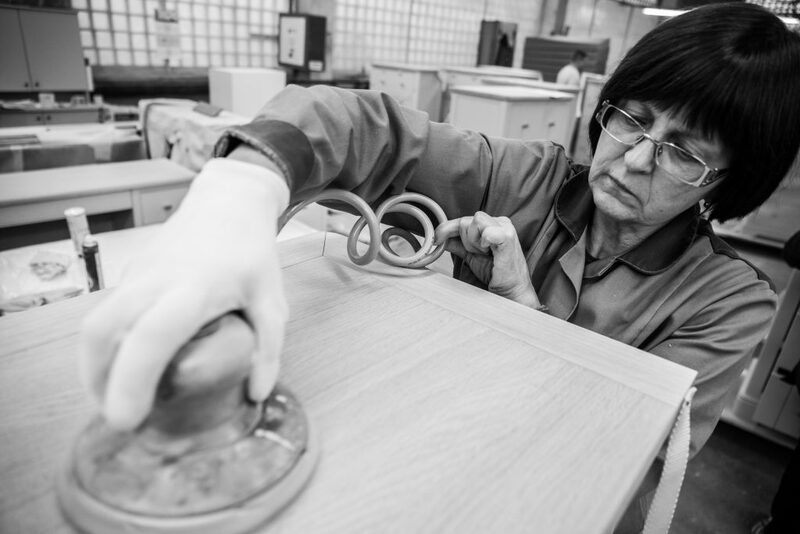 Luxury Furniture production comprises all operations up to packaging. The furniture is made from top-quality oak and birch and end with application of ecological finishing. We use Weeke CNC equipment in our factory. 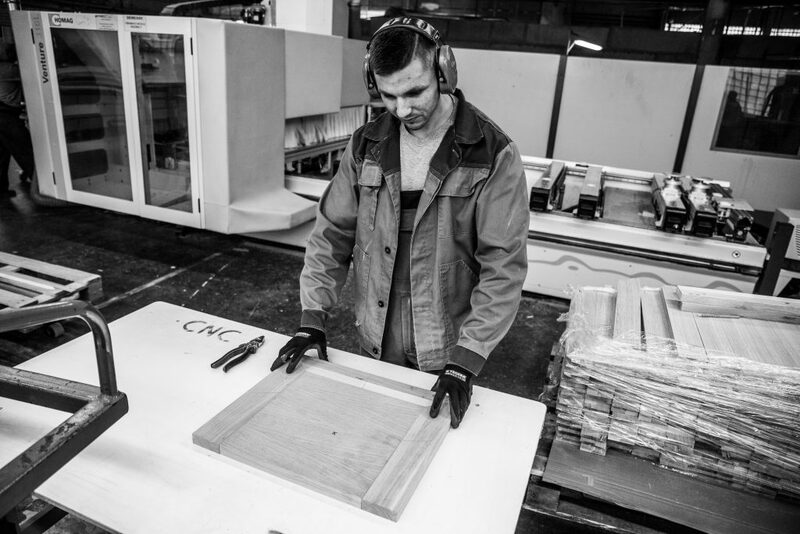 At our Joined Wood furniture production facilities we produce economic furniture. This economic range helps the client to balance the demand of consumers for quality furniture at acceptable prices. The production premises include an UV finishing line that applies finishing of water-based lacquer and paint. We have an Innovative Product production facility that develops new furniture. We produce furniture by buyers’ specifications and production samples. It also carries out special orders for our clients. Our production facilities are distributed across an average of 35 000 m2. 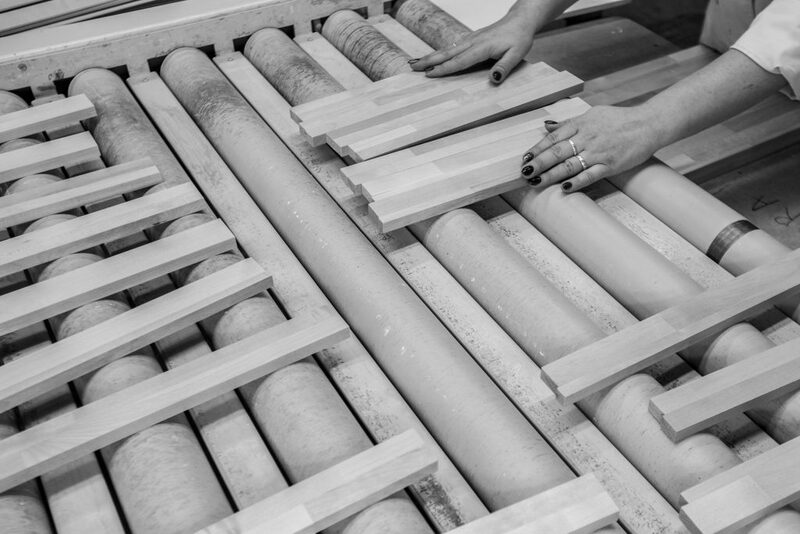 The production starts with the cutting and drying of logs and ends with a packaged item of furniture. 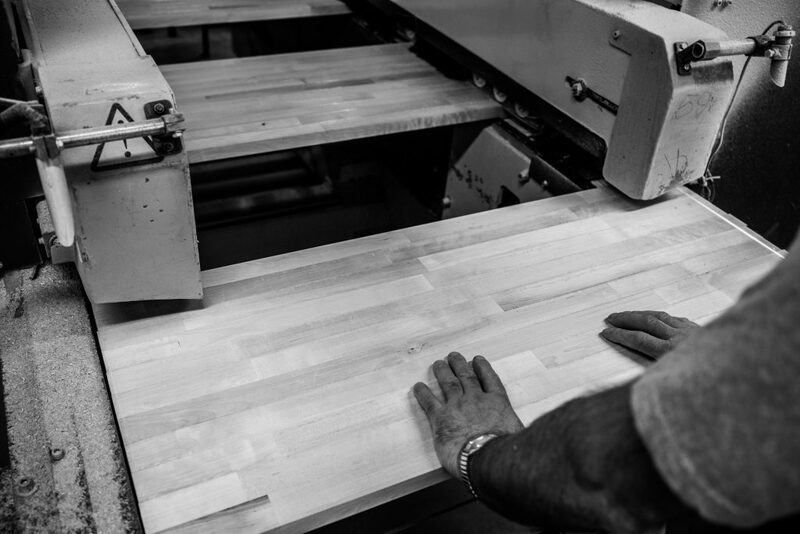 Our competitive advantage is our focus on producing solid wood furniture of rather than MDF. Our oak is imported from Ukraine and our birch comes from FSC-certified Lithuanian woods. Our drying facilities are one of the most modern in Lithuania, renovated with the help of the EU Cohesion Fund. We regularly invest in raising the qualifications of our employees and ensuring health and safety at the work place. We take every opportunity to modernize and acquire new equipment that enables us to flexibly accommodate the needs of our buyers.